Ault was born in Cleveland, Ohio, USA, into a wealthy family and spent his youth in London, England, where he studied at the Slade School of Art and St John's Wood School of Art. Returning to the United States in 1911, he spent the rest of his life in New York and New Jersey. His personal life henceforth was troubled. He became alcoholic during the 1920s, after the death of his mother in a mental institution. Each of his three brothers committed suicide, two after the loss of the family fortune in the 1929 stock market crash. 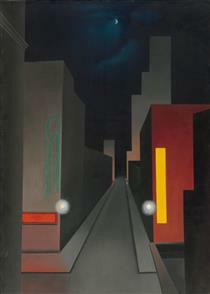 Although he had exhibited his works with some success, by the early 1930s his neurotic behavior and reclusiveness had alienated him from the gallery world. 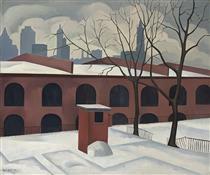 In 1937, Ault moved to Woodstock, New York with Louise Jonas, who would become his second wife, and tried to put his difficulties in the past. In Woodstock the couple lived a penurious existence in a small rented cottage that had no electricity or indoor plumbing. 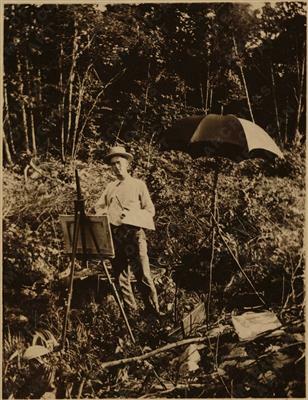 Depending on Louise for income, Ault created some of his finest paintings during this time, but had difficulty selling them. In 1948, Ault was discovered dead five days after drowning in the Sawkill Brook on December 30, when he had taken a solitary walk in stormy and dark weather. The death was deemed a suicide by the coroner. 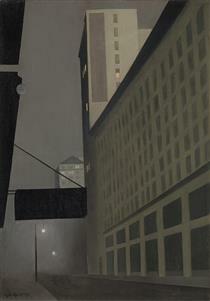 In his lifetime, his works were displayed at the Whitney Museum of American Art and the Addison Gallery of American Art (in Andover, Massachusetts), among others. 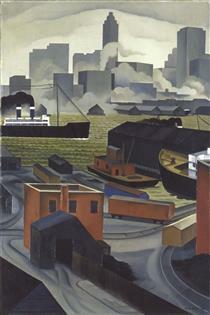 In 2011 the Smithsonian American Art Museum organized a major exhibition around Ault's work, which traveled to the Georgia Museum of Art.